Decorating is not as easy as you think. It is not just about furnishing your room with furniture or splashing your wall with paint. There are also other things to consider to achieve the look you want. You can look up for the most aesthetically appealing living rooms of celebrities, and you will find an abundance of details. From the color schemes, furniture arrangement, curtain styles to upholstery ideas, you need to get these things perfect before you can say that your living room is lovely. If you are a beginner, you need a bit of help and inspiration to create the ideal living room you desire. Here are some inspiring decorating ideas that you can follow in making your living room awesome. A minimalist, Scandinavian-inspired living room is soothing to the eyes. White walls, blond hardwood furniture, a little bit of leather upholstery will surely make your living simple yet attractive. A Scandinavian-inspired living room with a touch of minimalism is relaxing and comfortable. High style fanatics will also approve of this type of living room design. Even if the walls just have a simple, white paint job, you can still see the touch of high style in the furnishings. This living room design is also an excellent way to create an illusion of open space. Just add details of color like green plants, and you can already say that your living room is fantastic. When you are thinking about living room ornaments, you should consider about the atmosphere you want to achieve. If you want something feminine, for example, you can display vases full of fragrant flowers or make a color scheme of chic pastels. Metallic ornaments that can add magnificence to a living space, on the other hand, will make for a living room design that is neutral. Just make sure that these ornaments are accident-proof, especially if you have children running around the room. Imagine yourself and your family gathering around a crackling fire during the winter months. Sounds fantastic, right? You can make this a reality by having a fireplace in your house. A fireplace serves as a center attraction in your living room. Just add a comfy and luxurious sofa and a couple of end chairs around the hearth, you can now pull off the grand and warm living room you want. After a lovely wall portrait, new art on the walls may be the next good idea to consider. Dramatic and powerful artworks displayed on the wall will give your living room a whole new look and feel. For a living room that has a pastel color scheme, a modern art that is bold and thought-provoking is an excellent choice. If you have a cool and modern living room, a classical artwork is good to go. Contrasting the room design with your artwork is important when going for an artsy wall treatment. Letting in some natural light into your living room is essential. For this purpose, replace your heavy fabric curtains with gauzy window treatments. Keep in mind that the panels go all the way down to the floor if your living room has a high ceiling. Sometimes the little things offer some of the most significant impacts on your living room. Books, flowers, magazines, or photographs of your travels will add a touch of the homeowner’s character and personality to the room. Arrange your favorite collections such as books on the shelves in an eye-catching manner. You can also vary your collections to display your diverse interests in life. You call it the living room because it is meant to be about ‘living.’ If you have enough space in your living room, you can go for a formal lounge area to enjoy your family bondings and special gatherings. For the ultimate comfort and style, you can opt for a single seater couch. A single seater couch is quite popular nowadays, and it will make for a comfy and quiet place to rest, read, and relax. You can also have an accent piece with a stylish side table. Making your living room a stylish and comfortable space in your home is important. After all, it the place where you spend your family bondings and other special occasions. 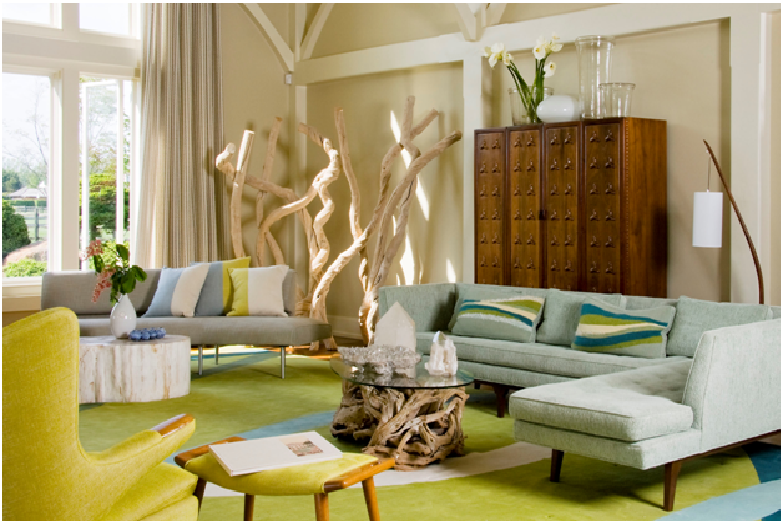 In making your living room awesome, it is essential that you have ideas on how to decorate it. You can follow the decorating ideas above for this purpose. Alexandra White is a home improvement blogger and single mom. She writes topics about tips on DIY home improvement projects and living room design ideas. She also browses Black Mango to keep updated on the latest home essentials for her projects. Can Your Business Succeed without Business Loans?